Born in London, Heaphy was the son of a professional painter and inherited some of his father’s artistic skills. At 17 he was appointed as resident Artist and Surveyor to the New Zealand Company. He arrived in Port Nicholson (Wellington) in late 1839. His portraits of Māori chiefs, including Te Rauparaha, and various landscape paintings provided an important record of this early European contact period. His work was used by the company in its publicity campaign to attract more migrants. With the Company struggling to provide adequate land for new settlers, Heaphy informed the Company directors of the prospects of exploration into the South Island interior. His 1846 journey with Thomas Brunner was one of the most arduous in the history of New Zealand exploration. The pair spent 560 days journeying from Nelson down the Buller and the West Coast to Arahura. The Heaphy Track in the north-west corner of the South Island is a permanent reminder of this epic journey. Heaphy’s role as propagandist for the New Zealand Company had made him unpopular with a number of Nelson settlers. By 1847, struggling to make a living, he left for Auckland to take up a job as a draughtsman in the Survey Office of the colonial government. He later became Chief Surveyor. He also served as gold commissioner at Coromandel from November 1852 to June 1853. In 1859 Heaphy enlisted with the Auckland Rifle Volunteers. He supported the war that broke out in Taranaki in 1860. As preparations were made to invade the Waikato he helped with the survey work for the military road being driven south from Auckland. By July 1863 he was in command of a local militia and became Lieutenant-General Duncan Cameron’s Military Surveyor and Guide to the Forces. In February 1864, while under intense fire, Heaphy went to the aid of a wounded soldier during fighting at Waiari, near Te Awamutu. This act saw him become the first member of an irregular unit to be awarded the Victoria Cross. He received his medal three years later at a parade in Auckland on 11 May 1867. Despite this recognition Heaphy was privately expressing disappointment with his life in New Zealand. 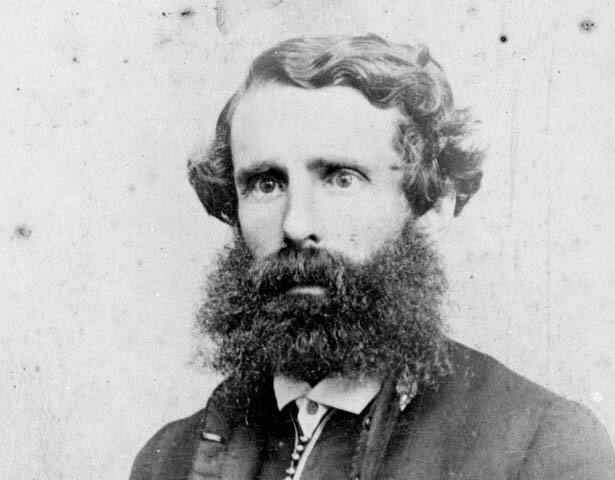 This may have reflected his heavy workload as chief surveyor to the central government from January 1864 to December 1865, when he was fully occupied with surveys of confiscated Waikato lands. In June 1867 Heaphy was elected unopposed as Member of the House of Representatives for Parnell. He achieved little in his two years in Parliament, eventually resigning to take up another government post as commissioner of native reserves. He was appointed a judge of the Native Land Court in 1878. A combination of poor health and government cutbacks led to his retirement in 1880. By June 1881 his health had deteriorated to the extent that he and his wife left for the warmth of Brisbane. He died there in August that year. We have 2 events in history, 21 biographies, 7 articles, 2 comments related to Charles Heaphy. wondering if it was just named after the famous man. I would like to know the location if possible.